Fisher’s house a country house on the shore of Lake Clear in Canada, designed for an active young family. The project provides a nontrivial solution to the country house of rest and communion with nature. Autonomy, environmental protection, rational and logical layout of morphogenesis – the basic principles of the project. Planning solution involves placing the main functional areas and premises along the main motion vector whose axis is the north wall of the house. 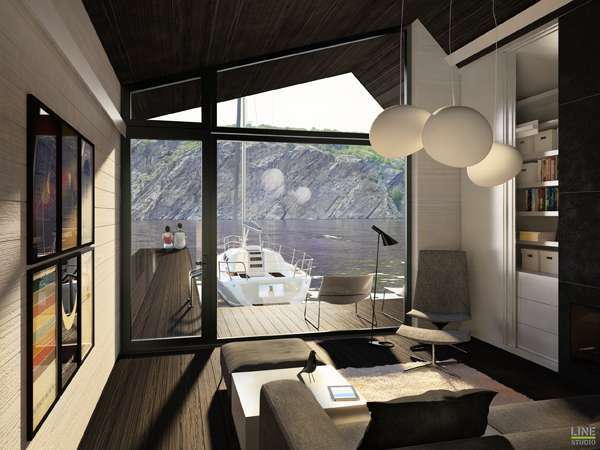 The internal volume of the residential part represented a spacious room with panoramic window at the lake. The project applied the principle of interpenetrating spaces. 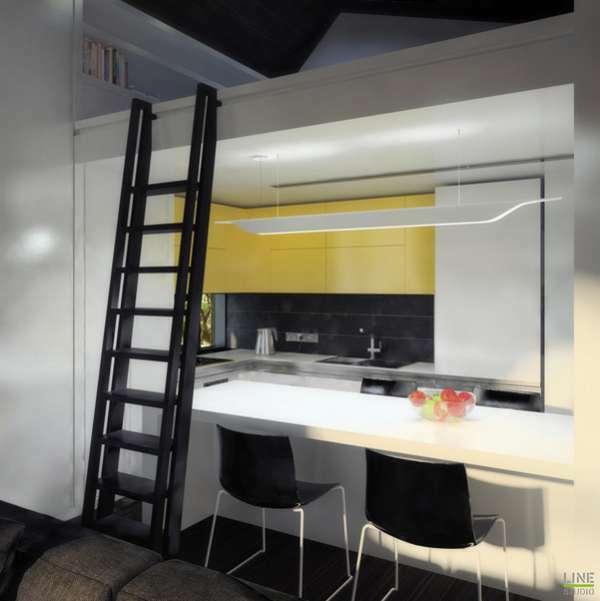 The bedroom is designed on the mezzanine above the kitchen area. A bathroom is located in the northwestern part of the house. It consists of a bathroom and toilet are separated by sliding doors. For engineering equipment is provided a technical floor of a bathroom. Outer space and a terrace house near the pier allows you to organize outdoor recreation. The length of the pier provides for the possibility of mooring a small boat. Natural materials contributes to the penetration of the atmosphere of the local nature inside the home. Living room is provided with a significant amount of sunlight through the large picture window. Insolation through the bedroom roof dormers. Kitchen and bathroom windows are provided at the placement of equipment in the kitchen and bathroom.